The title Spider-Man: Far From Home may be lacking, but at least we know Spider-Man is alive and well following his disintegration in “Avengers: Infinity War” (and subsequently, “Avengers: Endgame”). 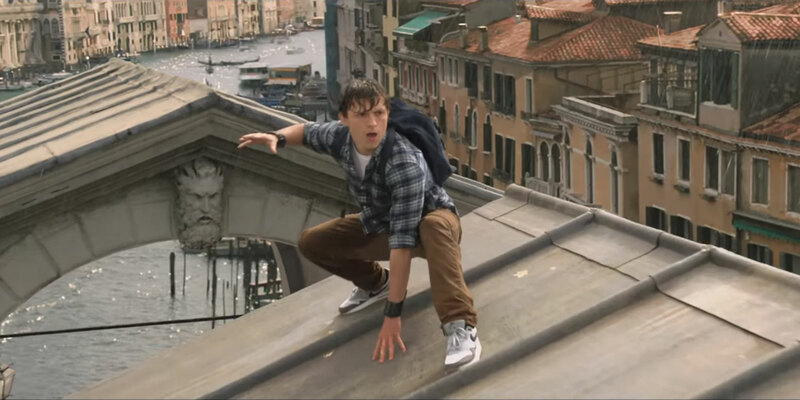 Here Peter Parker (Tom Holland) is quite clearly making a concerted effort to reintegrate himself into teenage life, going so far as to leave his suit at home while travelling abroad with his classmates. If only it were so easy to vacation as a super-hero. Nick Fury (Samuel L. Jackson) comes a calling and soon London Bridge is falling down as Spider-Man faces off against the illusionist Mysterio (Jake Gyllenhaal) and, from the looks of it, Elemental member Magnum (Numan Acar) who has the ability to control the Earth. What brings the villains to London is not yet known, but check out the awkward teen angst and action in the embedded trailer anyway courtesy of Sony Pictures Entertainment. 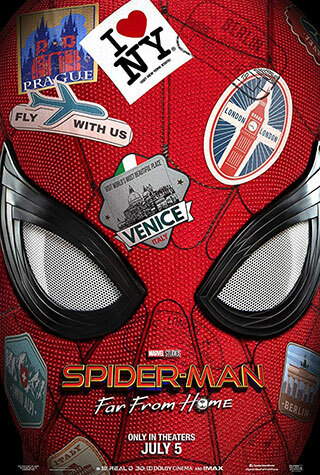 Spider-Man: Far From Home stars Tom Holland, Zendaya, Jake Gyllenhaal, Marisa Tomei, Samuel L. Jackson, Jon Favreau, Cobie Smulders, Michael Keaton, Tony Revolori, Jacob Batalon, Numan Acar and Angourie Rice. Peter Parker returns in Spider-Man: Far From Home, the next chapter of the “Spider-Man: Homecoming” series! Our friendly neighborhood Super Hero decides to join his best friends Ned, MJ, and the rest of the gang on a European vacation. However, Peter’s plan to leave super heroics behind for a few weeks are quickly scrapped when he begrudgingly agrees to help Nick Fury uncover the mystery of several elemental creature attacks, creating havoc across the continent! Spider-Man: Far From Home vacations in US and UK theaters on July 5, 2019.